LONDON - Carclo Technical Plastics Ltd (CTP) announces that it has expanded its manufacturing facility in Doddaballapur near Bangalore, India, enabling it to continue serving existing customers in the electronics industry and target the growing local medical market. CTP’s facility is accredited to ISO 9001 (ISO13485 pending) and has a capacity for approximately 40 injection moulding machines plus assembly capability. Key to the expansion is a new medical hall, equipped with state-of-the-art, all-electric injection moulding machines from leading supplier Fanuc. 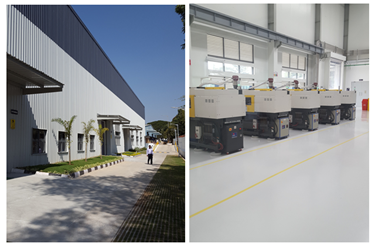 CTP has invested in new manufacturing space, injection moulding machines, ancillaries and specialist staff in Bangalore as it targets medical customers in the region. The expansion also provides significant scope for growth. Carclo Technical Plastics, www.carclo-ctp.co.uk, is the largest division within Carclo plc with manufacturing operations in the UK, East and West USA, Czech Republic, India and China. The business increasingly adds value to its customers by assembling and packaging finished devices for the medical, pharmaceutical, diagnostic and ophthalmic sectors. Typical products include drug delivery devices such as injection devices and asthma inhalers and diagnostic consumables such as pipette tips, reagent packs and Point-of-Care cartridges. Contact Martin Day, Director, European Sales & Marketing, on +44(0)208 685 0500 for further details. SOURCE: Carclo Technical Plastics, Ltd.